As Baby Boomers become senior citizens, Alzheimer’s disease and other forms of dementia are on track to reach epidemic proportions, with a new diagnosis every 68 seconds and an annual cost of $1.2 trillion projected by 2050, not to mention the psychological toll on family members caring for their loved ones. 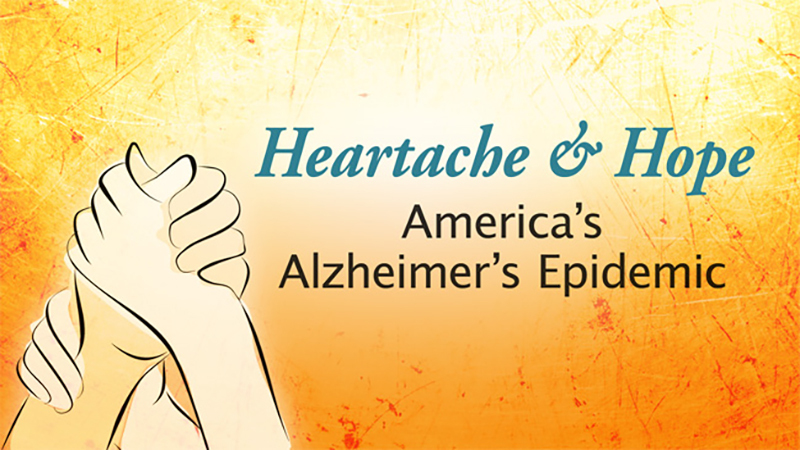 Premiering September 18, UCTV Prime’s original series “Heartache and Hope: America’s Alzheimer’s Epidemic,” reveals what it’s like for patients and families living with this devastating disease and how UCLA researchers are leading the charge to slow its progress and, eventually, find a cure. With 50% of primary caregivers for Alzheimer’s patients at risk of severe clinical depression, UCLA is working with local organizations and community leaders to establish caregiver support groups and connect caregivers to community resource centers. “Heartache and Hope” profiles several, including one established by Patti Davis, daughter of President Ronald Reagan, and another by television personality Leeza Gibbons, who lost her mother to the disease. Both women are featured in the series. Researchers at UCLA and beyond are moving fast to understand Alzheimer’s disease and develop effective treatments. “Heartache and Hope” includes interviews with top UCLA researchers and their patients involved in the latest clinical trials, some of which demonstrate promising results. You won’t want to miss this powerful, three-part series premiering September 18 on UCTV Prime’s YouTube channel and website, with new episodes every Tuesday through October 2. In the meantime, watch the trailer and spread the word!